Pop-Up at the Montclair Art Museum's Free First Thursday Night! We always conceived of Halfway There as a quarterly series, but it turns out four readings a year isn't nearly enough. There are so many incredible writers to showcase! Apryl came up with the idea to have Halfway There pop-up for an additional spring reading. So, we opened up a submissions period, connected with the Montclair Art Museum, and, on April 7th, popped up at the Museum's Free First Thursday Nights with a terrific line-up. 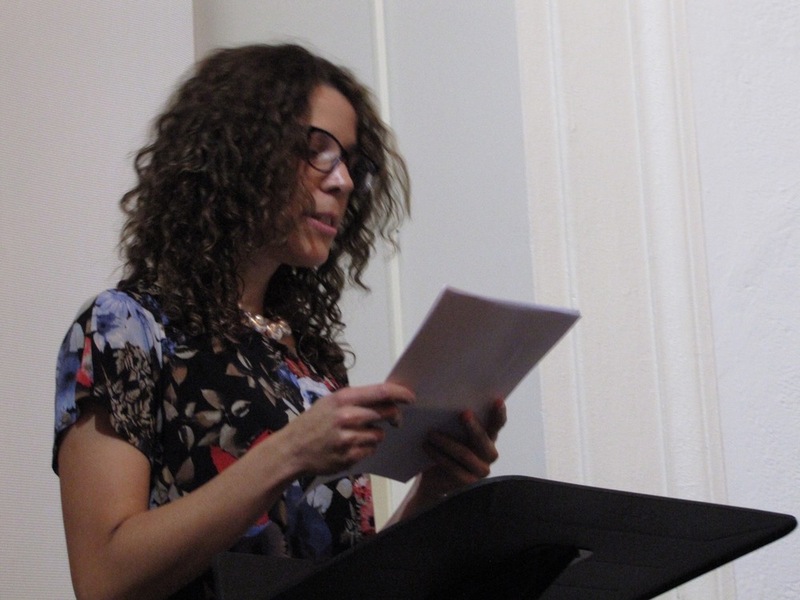 April is National Poetry Month, so we were thrilled to feature poetry by Melissa Adamo, Ananda Lima and Joseph Rathgeber. We were just as happy, of course, to present fiction writers Mark Andrew Ferguson, Joseph Palestina and Kem Joy Ukwu. 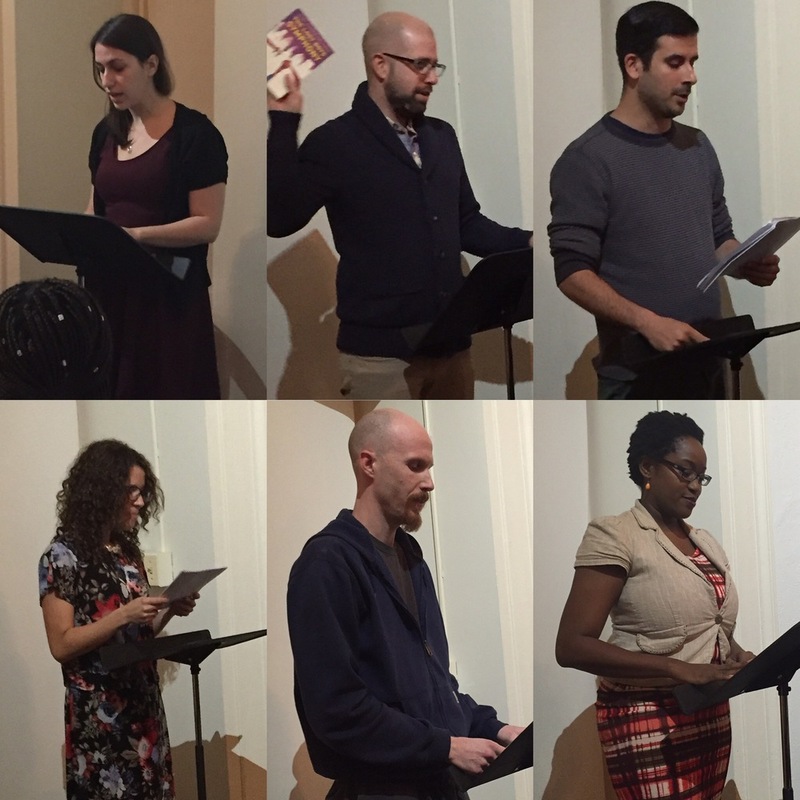 The writers--all New Jersey residents--shared their work with an audience overflowing the capacity of the Museum's Rotunda gallery. It was hard to get a real count, but somewhere between sixty and seventy-five folks crowded into the beautiful space to hear the readers. It was a fun and inspiring evening!